“If you exclude prodigious and individual moments that destiny can give us, to love your own work (which unfortunately is the privilege of a few) is the best approximation to real happiness on earth” (*). Primo Levi is right: there is a sense of freedom and deep joy in being competent in your own work and in taking pleasure in doing it. And, of course, this is true, no matter what the job is. There are many professions that require special skills and sensitivity, making it perfect to develop the passion of those who practice them. Think, for instance, of the farrier. In his job, there is the manual skill in working iron, the knowledge of anatomy to understand how to trim the hooves, the sensitivity to be aware through touch and sight of how far to sink the knife into the sole, and how this all comes together. 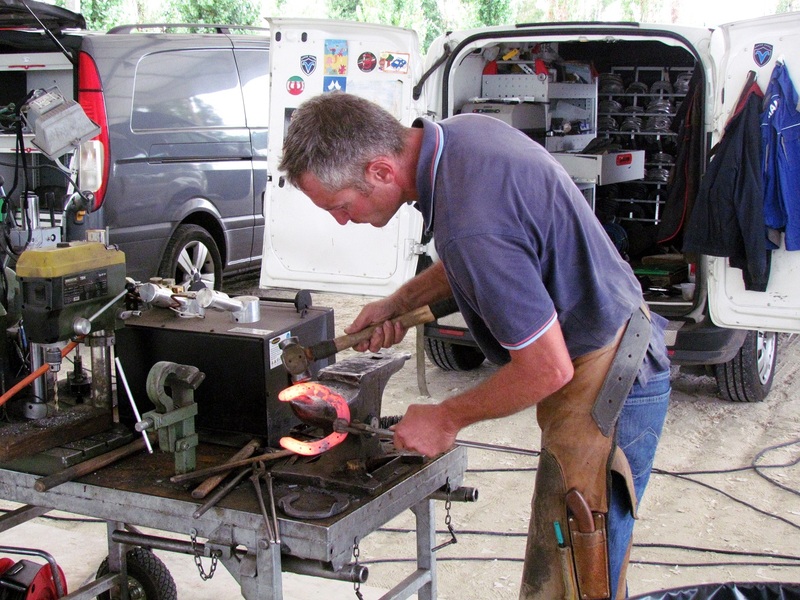 Moreover, a farrier also has to deal with strong and enigmatic animals, who can be docile as lambs and rebels like wild beasts. And under those big beasts he must bend and work. In short, it is a profession that it is really impossible to do if you don’t like it, but for those who love this work, it is a field for infinite discoveries. 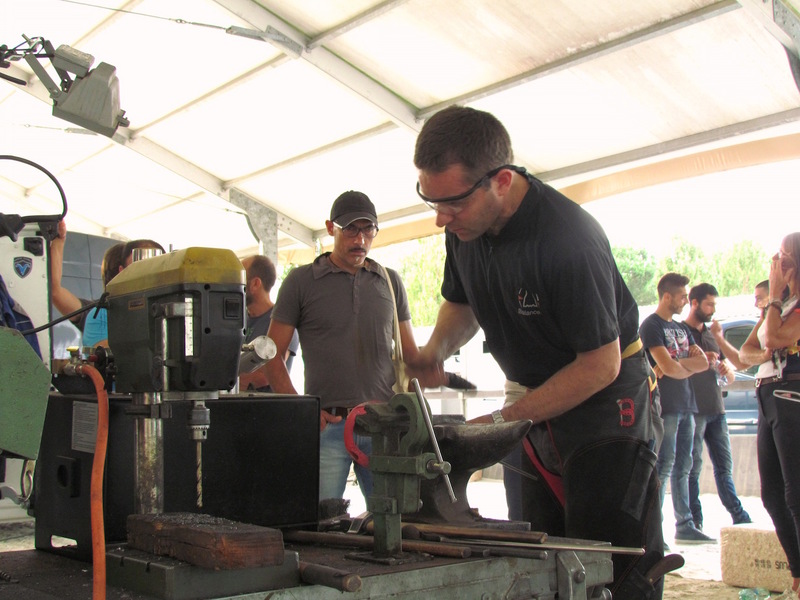 Recently I was invited to an equine podiatry and trimming clinic, organized by Emiliano Scipioni at “Casale San Nicola” Equestrian Center in Rome. The teacher was Daniel Anz, a brilliant Argentine podiatrist who travels the world spreading his trimming method, called Balance F. For me it was an opportunity to discover a new world, that of the farriers, which I knew only in a rather superficial way. 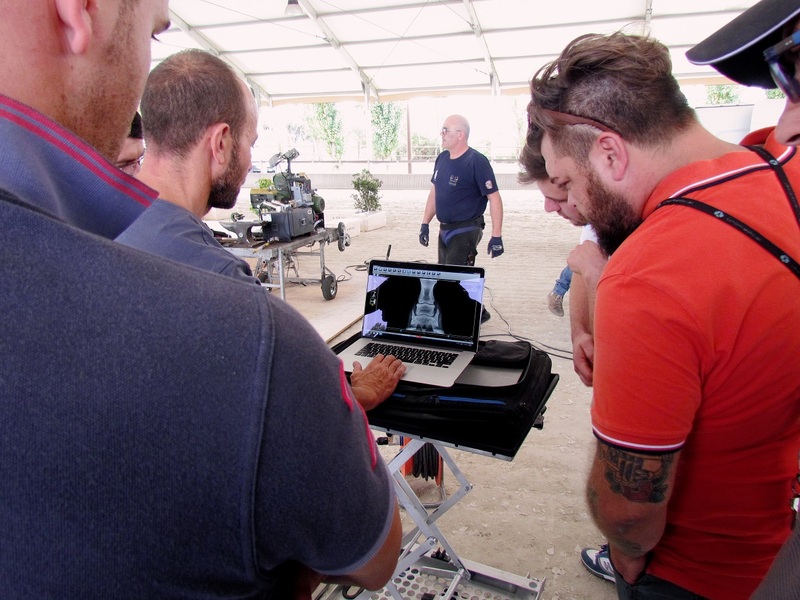 It was a very surprising discovery, which revealed to me the passion with which the majority of these professionals carry out there jobs and the curiosity with which many of them are ready to question their own experience, in order to learn new techniques. A desire for knowledge, an openness to new ideas and an enthusiasm that I rarely, at least in Italy, have found among riders. 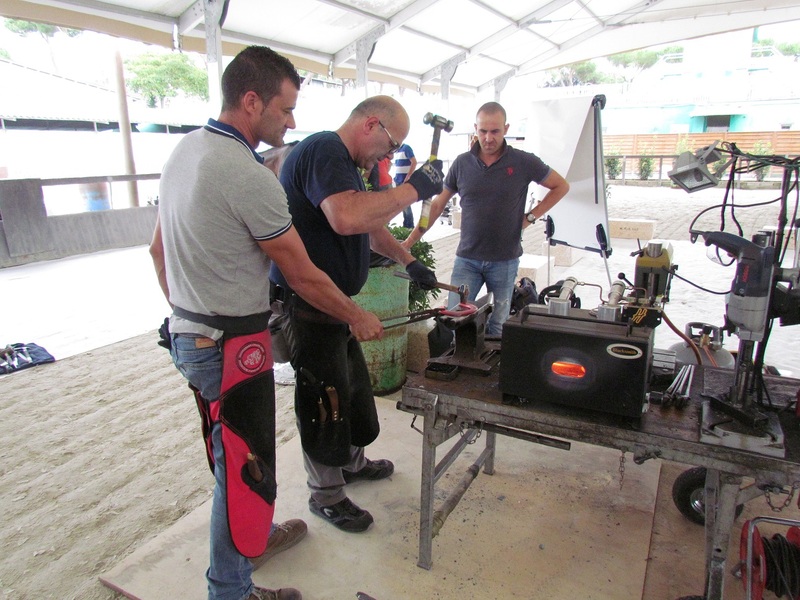 The clinic was open not only to farriers, but also included a group of veterinarians who are specialists of the horse’s foot and limbs, and who have studied Anz’ method as related to a scientific evaluation. These varied professionals and their experience fed a very animated and stimulating debate. 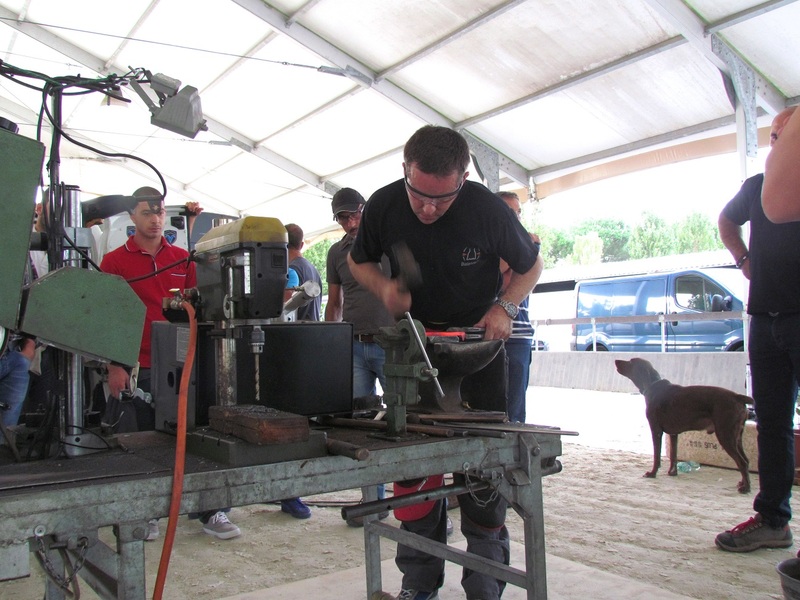 The main issue of the clinic was as essential as (apparently) simple: how can we bring the horse’s hoof to its natural balance, eliminating the disproportion resulting from the natural process of growth and from deterioration? Different answers have been given to this question throughout the centuries. And recently, about this matter, there is a great proliferation of theories and methods. I do not pretend to have the expertise of explaining in detail Daniel Anz’ approach, nor of evaluating its effectiveness. 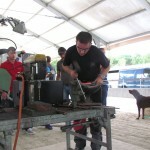 Anyone interested in learning more can get an idea by visiting his website (by clicking on this link: http://danielanz.com/podologia-equina/). What I found interesting is Anz’ effort to establish parameters as objective as possible to determine what he calls “the zero point” of the hoof. That is to say, the point where the foot is in its condition of full functional balance. 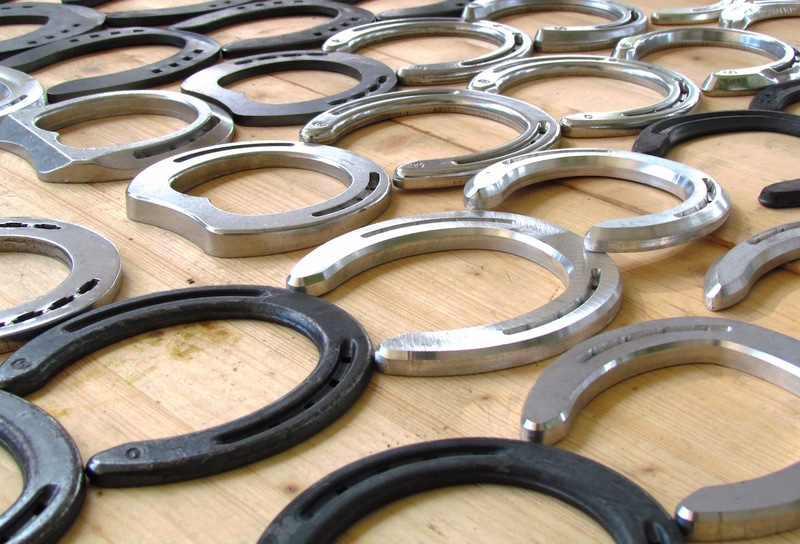 Unlike most traditional methods, which tend to adapt the hoof to an ideal model, Anz suggests to use the information that the same hoof capsule provides to the farrier. 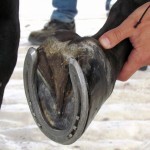 Therefore, he uses some natural factors that are visible on the hoof to determine the point where the foot should be brought back through trimming. 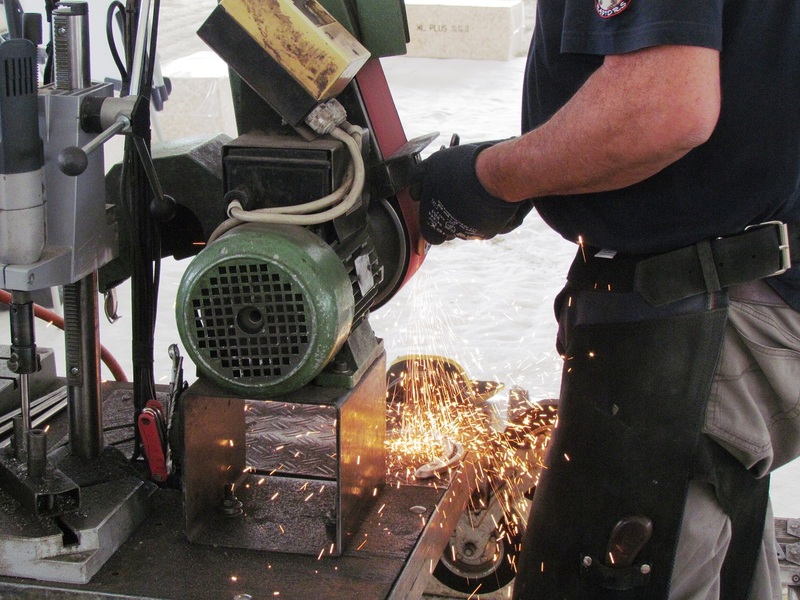 That is to say, to know where and how much to trim, how and how much to rasp. His goal is to bring the foot back to the level of what he calls (with a clear similarity with the concept of “uniform sole thickness” developed by the Californian farrier Mike Savoldi) “functional sole”, i.e. the “good” layer of the sole: the one which performs the real structural function in the balance of the foot. It is not said, Anz explains, that this layer is on a unique plane. Indeed, it has a certain mobility because of the longitudinal flexibility of the hoof. 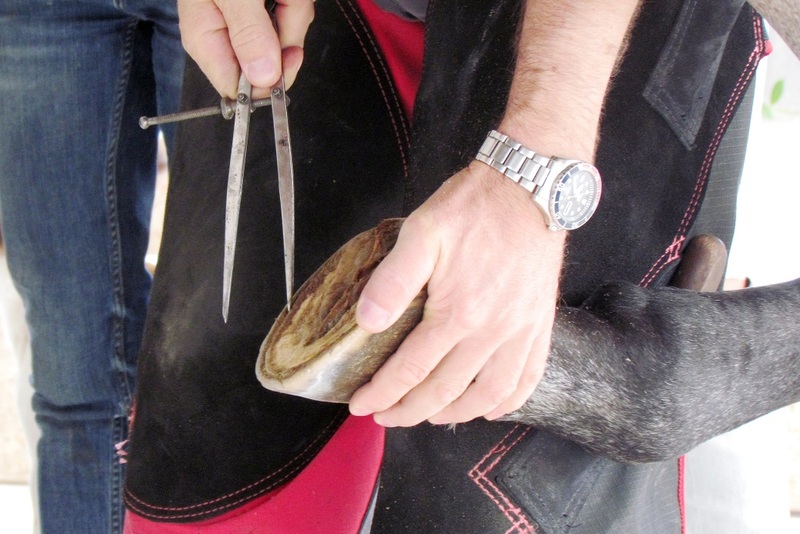 While traditional methods tend to trim the foot evenly on one plane, according to Anz it is instead necessary to determine the functional limit of the hoof, and follow it, independently from where it is. 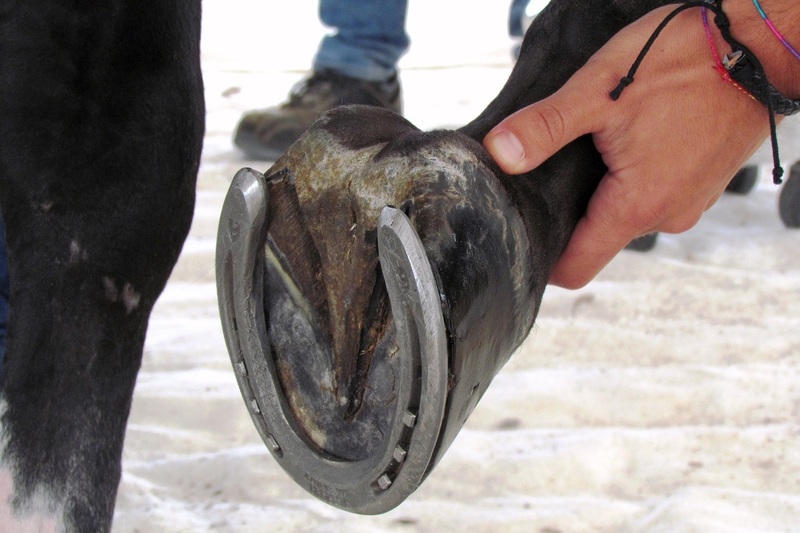 For example, examining the horse’s heels, Anz identifies what he calls “stress points”, where the horny tubules show a slight deviation, which mark the plane of the “functional sole”. And it is always analyzing the hoof that the farrier should spot the other signs that indicate to him the plane to follow. 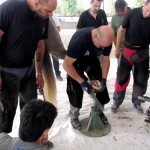 As for the sole, the farrier must “search” the functional layer with the knife eliminating the part that is exfoliating, but only that one. 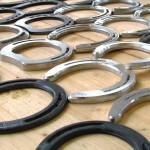 This method requires the farrier to use great precision. For example, Anz emphasizes the importance of using a compass to take the measurements of the hoof. “Even the most experienced eye – he explains -, is not enough.” Similarly, the gestures with which tools such as the knife, the tongs and the rasp should be handled must be extremely careful and guided by a great concentration and awareness. 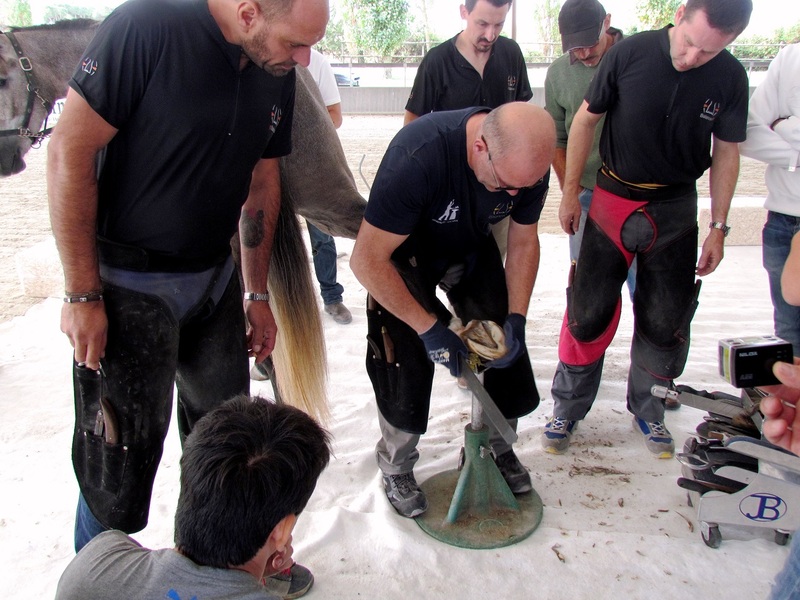 Being a layman, I was struck by this accuracy and by the delicacy with which I saw the participants work on the hooves during the practical training. “It’s a way quite different from the one to which we were accustomed,” Simone Cioni, from Bologna, said to me. “For example, the rasp should not be used on both sides of the hoof wall to level the hoof, as it was usual in the past. By following the functional limit, you must always use it on half of the hoof, with a spiral movement. You do not need to use more strength, but it is a gesture to which I am not still completely accustomed and that’s why I make more effort,” he added, wiping his sweaty forehead. However, what really impressed me was the attention with which the participants have followed Anz’ theoretical explanations and practical demonstrations and the way they compete with each other in order to practice the new technique, under the guidance of the master. There were people coming from all over Italy: some from Milan, others from Bologna and many obviously from Rome and its surroundings. Domenico even came from Sicily. And everyone was asking questions, not only to Anz, but also to the most experienced and respected colleagues in the group. They were all exchanging opinions and jokes with each other, and they all gathered around the veterinarians, who checked the results obtained by applying the method with radiographs. So much so that at lunchtime I had to amicably complain because they did not even want to take a break to grab a bite!